New business requirements are transforming the demands placed on IT. To operate effectively in today's fast-paced global environment, organizations need to be able to get work done anywhere, anytime, by any type of worker to achieve the best results. This is the context for the rise of workshifting-the practice of moving work to the most optimal location, time and resources. A more flexible work environment increases business agility, productivity and mobility, and also improves business and workforce continuity. It also allows organizations to recruit and retain the best people regardless of their physical location or employment status whether that is full-time, part-time, contractor,consultant, temporary worker or outsourcing provider. In light of these benefits, the vast majority of organizations surveyed in this study (93 percent) intend to provide a flexible work environment by the end of 2013. 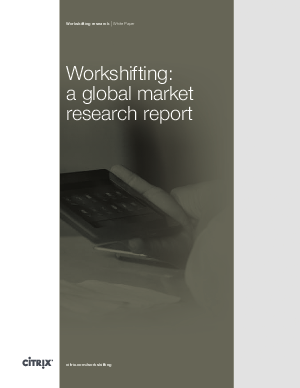 Download this white paper to learn more about workshifting.